A beautiful and mysterious tale from the author of The Heirloom and The Mysterious Bakery On Rue De Paris. Thornwood Village, 1910. Anna, a young farm girl, volunteers to help an intriguing American visitor, Harold Griffin-Krauss, translate ‘fairy stories’ from Irish to English. Captivated by the land of myth, folklore and superstition, Sarah Harper finds herself walking in the footsteps of Harold and Anna one hundred years later, unearthing dark secrets that both enchant and unnerve. The Story Collector treads the intriguing line between the everyday and the otherworldly, the seen and the unseen. With a taste for the magical in everyday life, Evie Gaughan’s latest novel is full of ordinary characters with extraordinary tales to tell. A charming bakery in a picturesque French town sounds like the idyllic place to escape her life, but Edith Lane soon discovers that some ghosts are harder to escape than others. 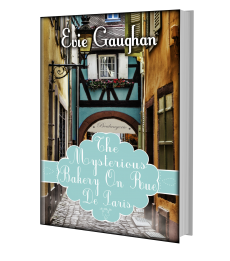 A magical, heart-warming story that is sure to appeal to all of the senses, The Mysterious Bakery On Rue De Paris is a mouth-watering journey of love, liberty and la vie en rose. Adopted as a baby, Amanda Morrison knows nothing of her biological family. But when a lawyer reveals that she has been bequeathed a mysterious heirloom from a long lost aunt, she unlocks the door to a distant past and a secret love. Can her past life really be haunting her present and what can she do to put things right? 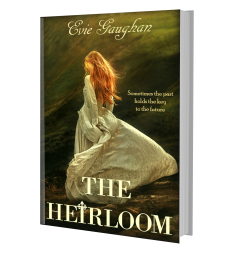 Set on the West Coast of Ireland, The Heirloom is an intriguing tale of how one woman sets out to find her true self in another life. A perfect read for Outlander fans. An atmospheric short story set in the Irish countryside. Catherine returns to Hollowbrook Cottage on a cold November night, looking to escape her present life and lose herself in the past. However, her journey crosses the path of a mysterious stranger who will change her life forever. As a lover of the Connemara area I was immediately struck by how well the author conjured up the sights and smells of the place. I was transported there much to my delight. Add in the other worldliness of the story and I was hooked. I didn’t want the story to end which is the problem with short stories and great writing – they leave you wanting more. 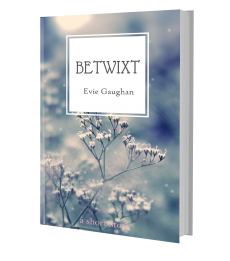 Betwixt is a half hour read and the author writes a convincing setting and well-rounded characters from the first sentence. Catherine is trying to revisit the past by booking Hollowtree Cottage but it’s out of season, the weather is foul and her trip takes a turn for the worse before she even finds the cottage. In the dark she comes across a stranger who changes everything for her. This is a beautifully descriptive and well-told story and I thoroughly enjoyed Gaughan’s writing style. The atmosphere builds wonderfully throughout and although I thought I could see the likely outcome it was such an enjoyable read the ending still satisfied. This is an excellent introduction to this authors work and I highly recommend. I love my books so I’m really excited to check these ones out! Thank you so so so much for sharing! You and your blog are absolutely lovely! Beautiful covers. Going on my to-read list!